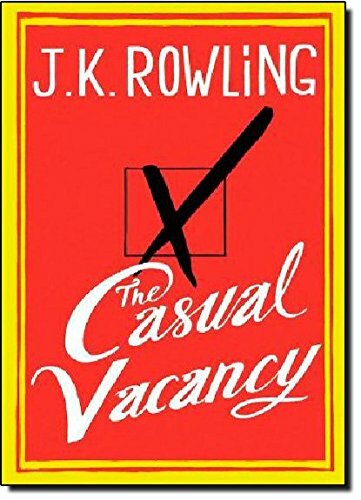 THE CASUAL VACANCY Is JK Rowling’s Book For Adults, And It’s Out In September | Birth.Movies.Death. Rowling's grown-ups book sounds very, very different from HARRY POTTER. We've been waiting on word for what JK Rowling's first adult book might be. We knew she was working on one post-Harry Potter, and there was a lot of speculation. Did you have a bet on 'dark comedy with probably social satire'? If so, you've won. This sort of sounds like a screenplay waiting to happen. What do you think?